Better dont buy...yes it cheap in Jatujak...either it had 1-2 defect or worst then that.Most are tail folded n unbalance tail. HNLim wrote: Luckily your wife is with you, otherwise it is even more dangerous. LauLanChu wrote: The first oranda you got has an interesting tail. Any reason why you get that pc? 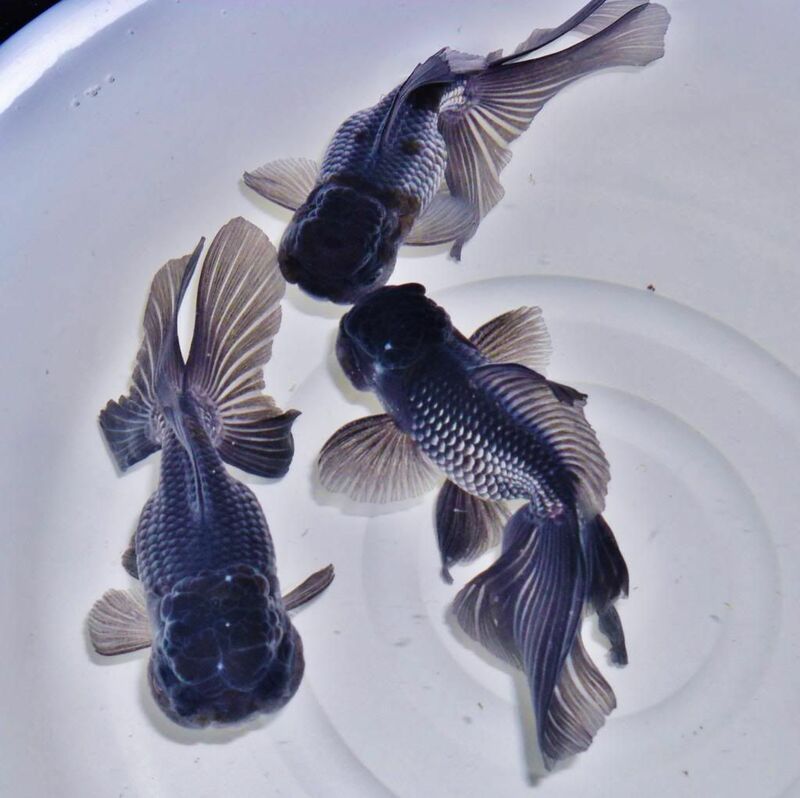 Which one you are referring bro LLC?The black or bi colour red white oranda? Oh that fish...first the colour pattern.Then the tail big n high.Really spread tail.The body form is not broad but more elongated one.minimum developement of the funtan cheek n ok ok wen developement.I never encounter young oranda like this before.Bear told me that this is a giant or structure fish.So i choose this to grom in my outdoor tub. pijulrs wrote: Oh that fish...first the colour pattern.Then the tail big n high.Really spread tail.The body form is not broad but more elongated one.minimum developement of the funtan cheek n ok ok wen developement.I never encounter young oranda like this before.Bear told me that this is a giant or structure fish.So i choose this to grom in my outdoor tub. Wow mr jack has some beautiful Tri colour oranda but yes a lot of great fish shown!! I might not make it back from such a trip...have to find a job in BKK to cover all the fish I would buy!! OMG bro pijurls... I'm seriously poisoned by your pics. Part of my frustration is finding decent quality ranchus here in Malaysia (without the ridiculous high prices). Many LFS in Malaysia claim their ranchus are Thai ranchus but prices are high or price is ok but quality is lacking. Your pics of Jatuchak market's THB120 ranchus are the kinds I would be happy with. Really need your advice how I can bring these back to Malaysia as I visited Bangkok many times but always stopped short of buying fish back.